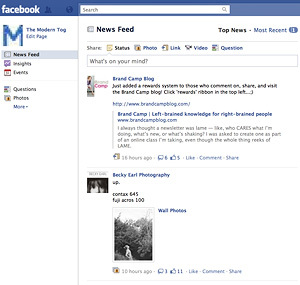 The Secret to Facebook News Feed Optimzation: Don’t Lose Out on People Seeing Your Posts! 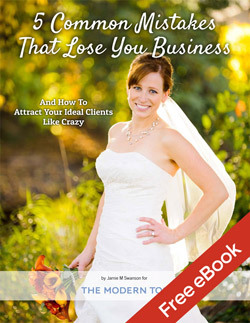 Facebook is one of the best free tools for photographers to use to market their business. The ability to tag clients and have all their friends see the photos you took of them is one of the best ways to get new clients, especially when people leave a lot of awesome comments on your work for their friends to see. Yet have you noticed that some posts get a lot more response than other posts? I’m always a bit disappointed when I post something and get little or no response from people, when other posts seem to go crazy with people responding like mad. Or maybe you find that you get lots of response when you post it on your personal profile page, but very little when you post stuff on your business page. Fear not, I’ve just learned the secret to getting your posts to show up in people’s news feeds, ultimately getting more people to see your amazing work and hire you! When you sign into Facebook, the news feed is the first thing you see. It shows you what your friends are up to, and unless you click the “Most Recent” link in the top corner of the page, Facebook ranks your friends activities and posts by what it thinks is most important. Have you noticed that some people get a lot more face time on your news feed while other people never seem to show up? If you don’t show up here, you’ll lose out on a lot of the potential that Facebook has for your business. We’re going to talk about this in the context of a business page instead of a personal profile page because that’s how Facebook prefers you promote your business, but all the principles apply to your personal profile as well. So how do we get to the top of the news feed? There are three things that Facebook takes into account. Affinity is basically Facebook’s measure of popularity. It’s not necessarily the number of friends that you have, but rather how often people engage with your posts. Think back to high school. Remember the popular crowd? Maybe you were part of it, maybe you weren’t. You couldn’t “earn” popularity by talking to popular people. They had to take interest in you, talk and engage with you, and then you’d become more popular by being noticed and “selected” in part by the popular kids. Man, high school could be brutal. I’m glad those days are over! Thankfully, Facebook isn’t quite as severe. Similar to high school, affinity is the measure of how much people engage with you or how much their friends engage with you. This is Facebook’s way of determining popularity. You can’t earn affinity by posting on their stuff unless they start posting back and engaging with you as well. It’s a one-way street in this regard. So if you post something and get lots of people to engage with it, leaving comments, liking it, and sharing it with others, you’re going to show up higher in the news feed than if you post something and no one says anything. This makes it vital to post things that people find interesting enough to interact with. On an even more curious note, have you noticed that sometimes you get photos or other posts from people in your news feed that you aren’t even Facebook friends with? This is because one or more of your Facebook friends has commented on it and so there’s a high affinity given to it, making it show up on your news feed. So if you can’t earn affinity, how do you get it? Post things that get people to respond. Ask questions, post links you think they’d find interesting, and write meaningful comments on things that other people post. It takes time, but it’s worth it to get your stuff to show up where people will see it. The return on investment for your time will be high once you’ve build this up. There are lots of different types of things you can post on Facebook. Status updates, links, photos, comments, videos, events, questions or polls, etc. Here’s what Facebook gives priority to, with the first type of post in this list getting more priority than stuff lower down in the list. Does it match what you saw in your own news feed? While this may not change WHAT you post, you can get more weight or priority by responding to the comments people leave on your posts, even if it’s as simple as saying thank you. It can drive your engagement and help you to show up higher in the news feed. Facebook is constantly changing, so the older your post is, the less chance you have of it showing up in the news feed. I’ve found just through personal experience that when I post something late at night before heading to bed, it doesn’t do as well as when I post it earlier in the day when people have more time to see it and engage with it right away. This is because by the time people wake up, it’s already several hours old so it’s lost some of its ranking. That isn’t to say that you should only post things in the morning – the best time to post will be when people are using Facebook (generally after work and in the evenings, but not always). Facebook takes all three of these things into account when determining how it will rank in the news feed. Your goal is to post things that people will engage with quickly. Then respond to the people who interact with your content. It will not only help give it more weight, but you’ll be interacting with people more which may encourage them to interact with your stuff more often, which builds your affinity overall. If you found this helpful, come and interact with us on The Modern Tog’s Facebook page. I’d also appreciate it if you’d share this post on Facebook as well. It only takes a moment to click, and it’s a great way to say “thanks” for this post. I also wrote a post awhile back about how using Facebook Comments on my website doubled my traffic in one month that you may be interested in. If you want to learn more about how to get engagement from Facebook, check out this amazing 21-day Facebook video series where I learned this awesome secret. There’s lots more good stuff there that I’ll be implementing in my own business as well. Finally, if you’d like to get exclusive photography business tips and insider information about The Modern Tog, sign up for our email newsletter.